I think that winter is slowly receding. Temperatures have been positive for almost a week and the sun puts in a shy appearance from time to time. 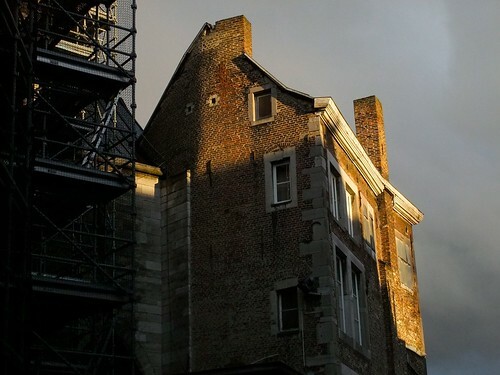 Here it's lighting up one side of a building next to the Sainte Croix church, despite the gloomy cloud background. Nice catch, Greg. That sun against the dark cloud is striking! Looks warm! I like the light in this shot. The light on the window is really nice. Great photo.